We are so proud of our partnership with the Coomera Football Club! U 12 JPL – currently 3rd and will make finals football & won the Musgrave Tournament last Sunday 14th of August. They played 4 rounds and won every game. The final game was a 2 all draw and went to penalty shoot out which they won. Team pictured above. 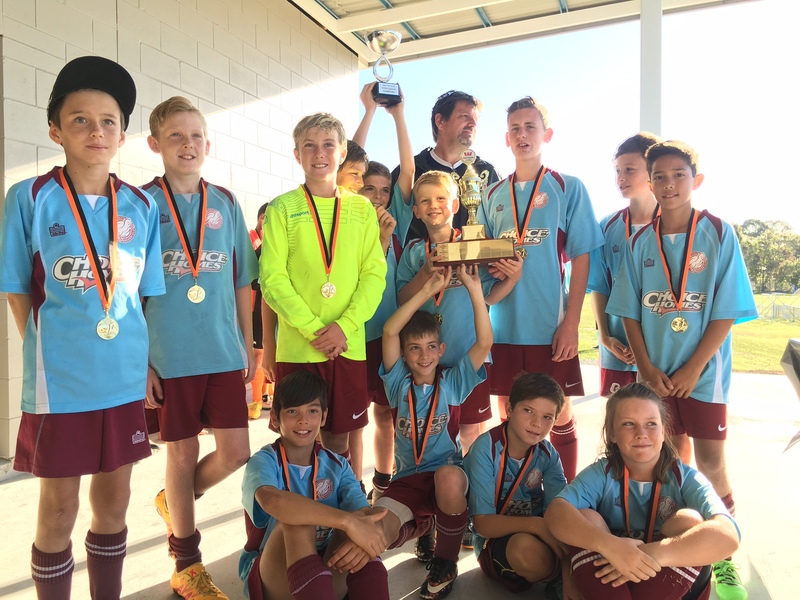 U 13 JPL – had a difficult season with some very narrow loses and could have been in better position on the ladder. Coomera Colts was established in 1983 and, as we were then, are the Gold Coast Soccer Federation's northern-most club. The club caters for all junior age groups from under 6 to under 17 and men's and women's teams at various levels of competition. For many years now the club has been known as "the friendly club of the coast". Many who join the club play for the fun and camaradie of recreational activity and this is encouraged at all levels. For the serious player at the senior level, the club gained promotion to the Gold Coast Premier league in 2008 and the 1st team was grand final runner up in 2009. It proved to be a most successful year, with teams from almost every junior age group playing in grand finals. Our women's team was also successful in winning a premiership. Visit their site here.